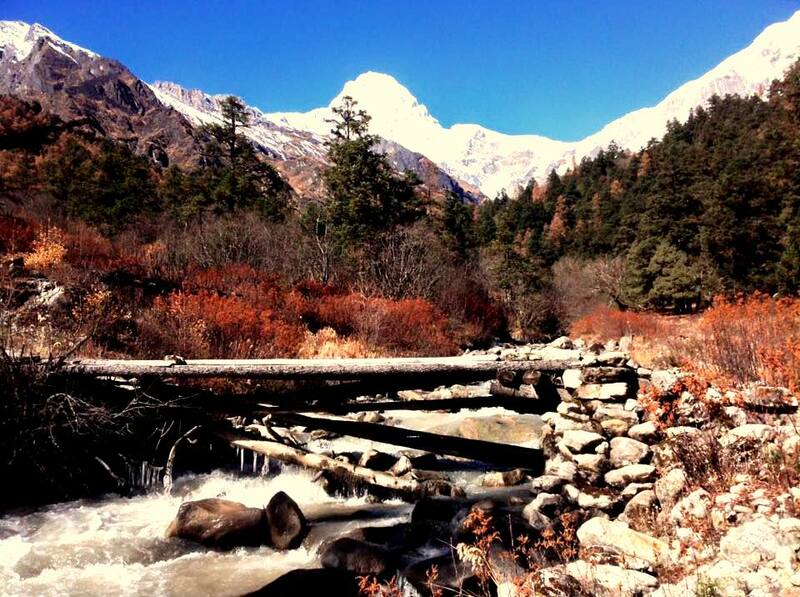 Rupina La pass trek lies in the lower part of Manaslu region of Gorkha District at an elevation of 4,610m. This Pass is really interesting pass of Lower Manaslu Trekking region. 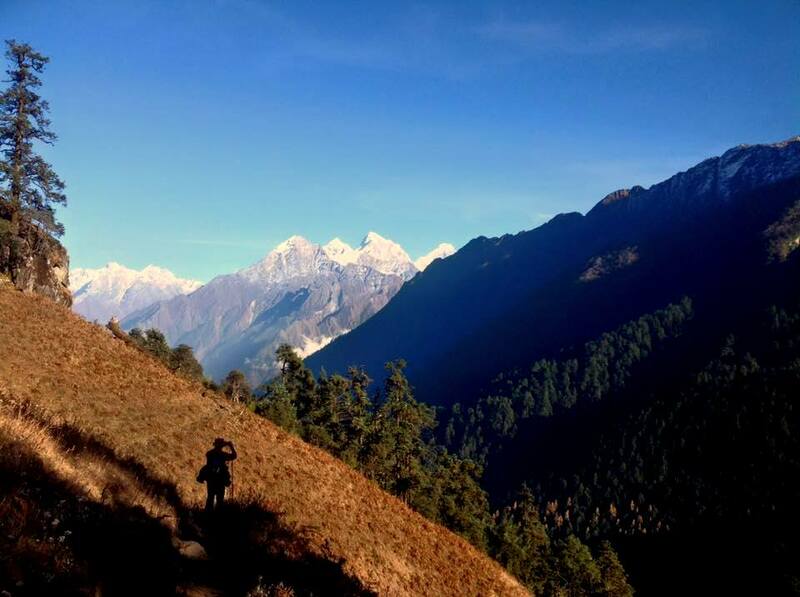 Rupina-la Pass trek is challenging and difficult trekking pass of Lower Manaslu region of Nepal, where very less Trekkers are success and done this trekking even though it is very beautiful and interesting. This pass is not so high pass but discovered as the most dangerious pass of Nepal as many trekkers lost their trail. This trek is geographically spectacular and culturally fascinating circumnavigating Mt. Manaslu (8163m), Peak 29 (7871m), Himal Chuli (7893m), Boudha Himal (6672m), Ganesh Himal ranges and Langtang Himal ranges. This trek is in a region of strong Tibetan influence. The Trek cross the Rupina-La (4610m) and Larkey pass (5250m) and descend to the Marshyangdi River and further trek down to Besisahar from where we will drive back to Kathmandu. 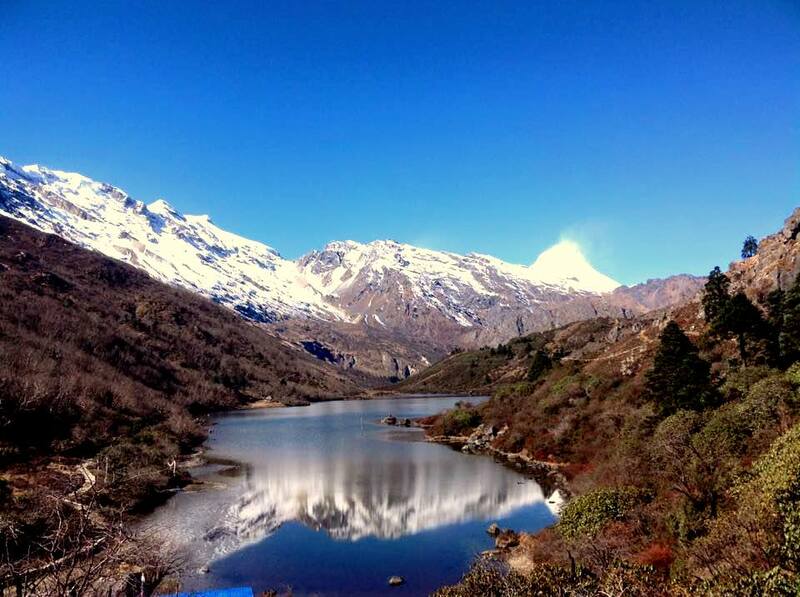 It offers superb Himalayan scenery, Lush valleys, beautiful landscape, wild animals and birds. Trekkers can enjoy the Tibetan culture with Lamaism. The trek start from Gorkha Bazar, the headquarter of Gorkha District and can be follow the trekking routes either from Dharache Dada or follow Darundi Khola and join in the Manaslu circuit Trek at Nyak. From Nyak, the trek can be continued to Manaslu circuit Trek or take the trail descend to Arughat and back to Kathmandu. Day 01: Arrive in Kathmandu, transfer to Hotel.and Welcome dinner in the evening. You'll be met at the airport by a representative from the Manaslu Tours. Our representative will transfer to Hotel and will have welcome drink in the evening at the traditional Nepalese cuisine. Day 02: Full day Sightseeing in Kathmandu. SWAYAMBHUNATH, also known as the monkey temple, is climbed by a long set of steps and has great views of Kathmandu. BOUDHANATH STUPA has many traditional Gompas hung with strings of multi-coloured prayer flags; it attracts many Sherpas and Tibetans for the circumambulations of the stupa (koras). PASHUPATINATH is a Hindu temple with burning Ghats on the banks of the Bagmati River. After a breakfast, drive to Gorkha Bazar, which is of 5 hours drive. Enroute, one can observe beautiful landscapes, various streams and following the bank of Darundi Khola. In the evening excursion to Gorkha Durbar at the top of hill, from where you will good mountain panaromic and sunset views. Have a big breakfast this morning; you drive to Ranglung Khola along the Darundi Khola (River). Then, we head to Barpak with steep, long climb up to the wonderful village of Barpak, situated perfectly on a green ridge overlooking the misty valley below. The villagers often organize 'cultural shows', the proceeds of which go to improving the village, so we might be treated to one in the early evening. 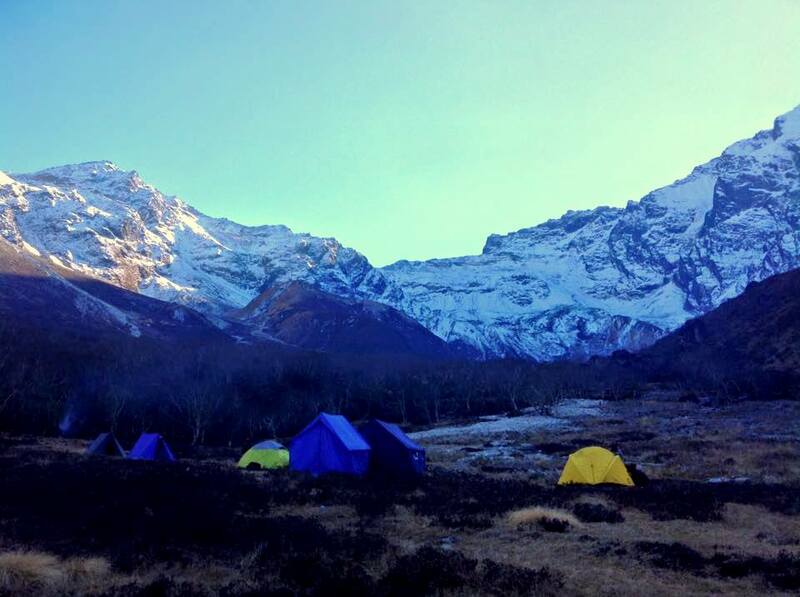 We are towered over by Bouddhi Himal, a high, snow-capped peak which makes for wonderful sunrise and sunset photos. Another early start and a picturesque climb, with Bouddha Himal providing a spectacular back-drop to the sprawling, scenic Barpak as we ascend up. Of three hours later, we reach the Pusu Dada (2,950m) which separates Laprak and Barpak and are rewarded with panoramic mountain views along with herds of sheep grazing on the grassy hillsides from the peak. Bauddha Himal, Sringi Himal, Ganesh Himal ranges and the Langtang ranges all span the horizon; a truly breath-taking view. Rohododendron forest with many hues of pink and red, around us, providing great photographs with the snow-peaks in back. Another steep down of an hour or two of trekking brings us down to another large Gurung village, Laprak. Again, we have the afternoon free to explore the village; take a walk down the hill and a look into some of the houses, all with symbolic murals on the mud-brick walls. You continue today to follow the ridges towards Rupina La. The climbs and descents follow each other on a relatively difficult route. Fortunately, the splendid views throughout the day make you forget the physical effort. Overnight in Nirtse Kharka. Still going up the Daraudi khola, you arrive little by little towards the bottom of the valley. You cross several torrents and follow a rocky path that leads you to the foot of a vast circus. 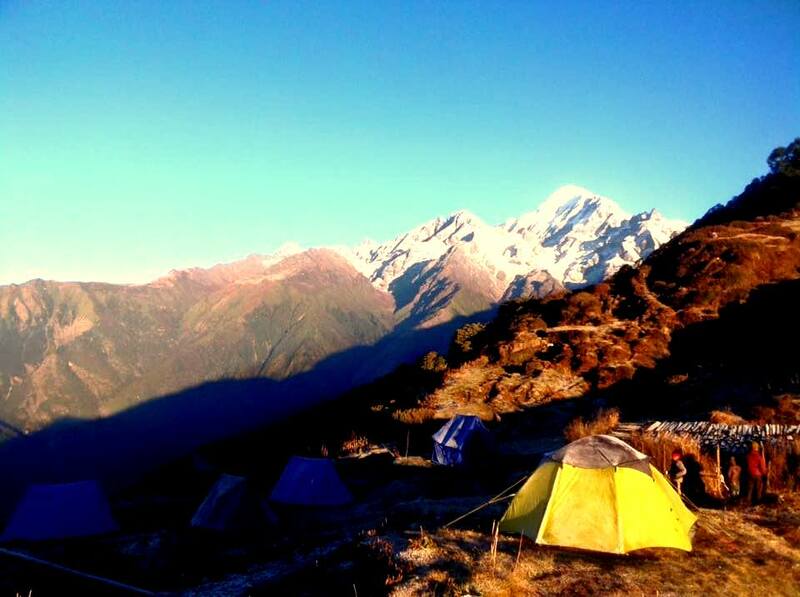 This is the Rupina La Phedi, the base camp of the pass. In order to let our bodies acclimatize properly, you spend the night here, before going on the assault of tomorrow's pass. This morning, we cross our first real pass, at 4710 meters altitude. Ideal to test yourself before Larkya La! Rude climb on steep slopes where the path is badly traced. After a last scree, arrived at the pass. A remarkable panorama rewards our efforts: circus of Himal Buddha, chains of Khutang, Shringi and Ganesh Himal. The opposite slope, steep scree 300 meters vertical, is the most difficult passage of the course, especially for our carriers. We descend along the moraine of the Chuling Glacier and the eponymous river. Crossing of alpine peat bogs. Night under tent. The path always leads to the bottom of the valley. The gompa of Nyak, at 2300 meters, allows a pleasant stop in these places away from the tumult of the world. The wildest part of the route ends here. After crossing an ultimate rocky bar, return to the route traveled by the other groups. Night under tent. Climbing through lovely woods of pine and crossing a small bridge, we reach Bihi Phedi, from where good views of Kutang Himal and start to see mani stones (prayers etched onto wayside rocks, particularly mani stones with pictures of gods and goddesses), a sure sign that we are entering another of the tiny Tibetan footholds that mark the high Himalayan places. It is four hours of trekking by twice crossing Budhi Gandaki River and twice over smaller tributary streams, staying mostly high with many ascents and descents as we walk through the gorge. Eventually we reach Ghap, where we set up camp for the night at the house of some wonderful villagers. Today is a wonderful trekking day; soon after leaving Ghap, we ascend for an hour through a dense, cool forest, crossing the Budhi Gandaki River. As we gain altitude, we reach alpine territory and treated to increasingly broad mountain views. A few hours later, we reach the village of Lihi at 2,840m, a substantial altitude gain. Lihi houses an old gompa, and is spread along the trail with its billowing fields of barley, guarded by 'bear watches'. We are climb gently now; soon we cross a large stream flowing down from the Li Danda Glaciers and reach the picturesque Tibetan village of Sho at 3,000m, where we stop for lunch. After an hour we reach at Lho, where we are treated to breath-taking views of Mt. Manaslu itself. Walking through the upper reaches of Lho, with the snowy peaks of Mt. Manaslu ahead of us in the distance, we pass the new gompa and then ascend through light forests next to a small river to reach the high, idyllic Tibetan settlement of Shayla, where the villagers are often out in the fields. Another few hours of trekking through classic alpine scenery leads us past Tibet grazing settlements, the trail to Pung Gyan Gompa off to the left, and eventually past checkered fields of barley and potato to Sama Gaon. Sama The people settled here from Tibet over 500 years ago. The Tibetan villages in this region of Manalsu have distinctive entrance gates (manes), and they maintain an active trade with their co-religionists in Tibet over several high passes nearby. If the weather is good, you will see the village women weaving wool from Tibet into gowns - which are then traded back to Tibet. Take the afternoon to hike up to the old gompa settlement above town, and to wander the streets of the fascinating Sama Gaon village. Another day of incredible mountain views, past craggy woods of Himalayan Birch, during the walk up to Samdo, an easy three hours away. En route we pass the long mani walls at Kermo Kharka, after which we spot the entrance chorten of Samdo high on a bluff. We descend back to the Bhudi Gandaki and cross a small bridge before another short climb to the 'kane' entrance of Samdo. There is a small home gompa in a house mid-village which we can visit during our last village, a puja being held by several of the reincarnated lamas living in the Samdo. We're at the high and the wind can be chilling in the evenings, so tuck into the little tea-house next door to our campsite for a cup of salt-butter tea to warm you up! We leave Samdo on the old trade route towards Tibet, cross a bridge, and climb through the ruins of Larkya bazaar, one of the trade markets that flourished years back. After about three hours of climbing past glaciers, with increasingly awe-inspiring panoramas, we come to the campsite at Dharamsala, the high camp for the Larkya La pass, where we have lunch and gaze out at the views. You'll really feel the altitude and the cold here, so enjoy a more leisurely afternoon and keep warm. We'll have an early dinner in preparation for our pass crossing tomorrow. After a short climb above the campsite, we reach the ablation valley on the North side of the Larkya Glaciers where we have views of Cho Danda and then of Larkya-La. We continue across the moraines of the glacier, often through the snow, making a gradual ascent which becomes steeper only in the last section to the pass, which should take us about four hours to crest. 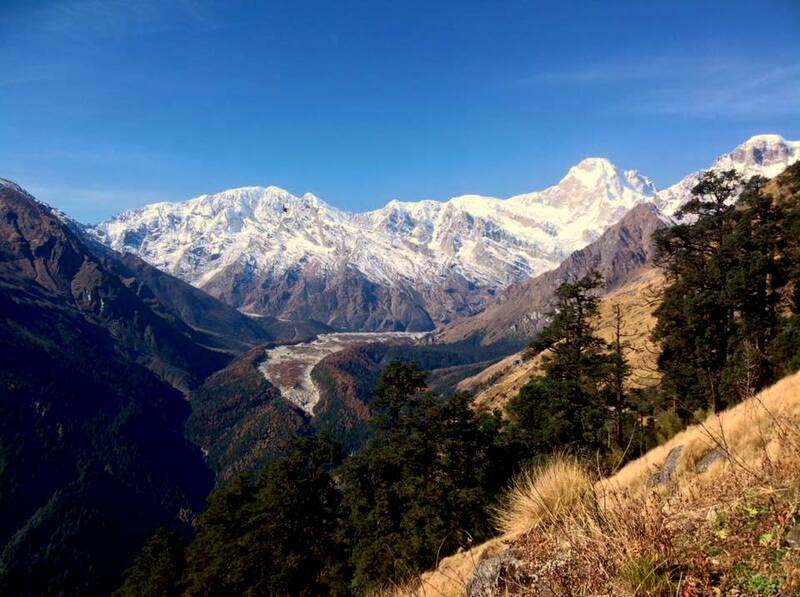 The views from the top of the pass are wonderful; a mountain panorama of Himlung Himal, Cheo Himal, Kangguru and the huge Annapurna II, equally stunning from both sides. After hanging our Tibetan prayer flags, get ready for a steep, often slippery drop to a trail following the glacial moraine. We'll lunch below the pass on smooth rocks before continuing the descent, still three hours to go to our campsite. 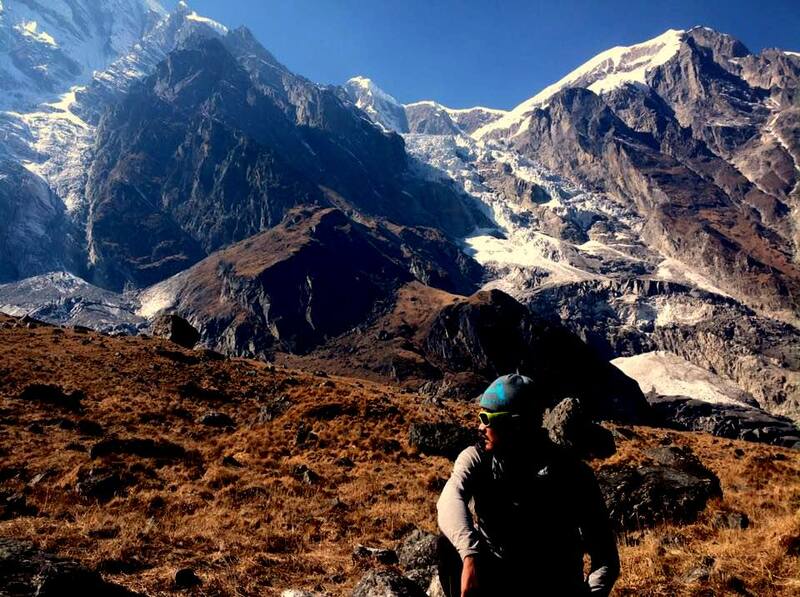 A boulder-strewn descent brings us, finally, to Bhimtang. It's all worthwhile now. A chilly but beautiful morning, as the sun hits the peaks around us long before the campsite. After leaving the grazing fields of Bhimtang, we cross a boulder-strewn river and head down through open forests of brilliantly blooming rhododendron, past the Kharka below Bhimtang. We'll lunch at a small tea-house, and then continue along the rocky river-bed and sliding hill-sides to several small, green villages, a sign that we've reached lower altitudes. Eventually, after a somewhat long but very scenic day, we reach the large village of Tilje village which are a mix of Manangis (of Tibetan descent) and Chettris (Hindus), so have a unique architecture and culture, and eat mix foods - Dal Bhat, buckwheat dhiro, tsampa and Tibetan salt-tea. Today the trail runs gently downstream of the river passing the village of Chamje and Himal pani We will have overnight stay at Syange. Day 20: By Jeep: Shree Chaur to Besisahar. Drive back to Kathmandu. After a breakfast, take a Jeep to Besisahar. You will be in Besisahar by 11:00 AM and take a Lunch. After a lunch, return back to Kathmandu and transfer to Hotel in Kathmandu. 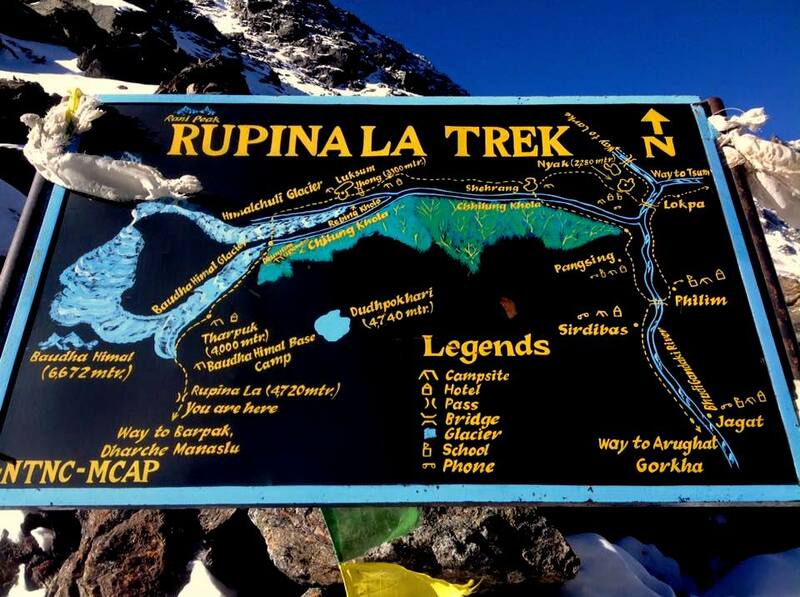 Above mentioned Trip dates are the fixed departure date for Rupina la Pass Trek of 2019. The cost mentioned in the tables are the cost from 6 to 12 peoples in a group. This trip can only be organized for minimum of two people upon your request. A group booking of 10 or more people is subjected to a maximum discount with the availability of free trip to one person. If your group is much larger please contact us to discuss about the price. Please cick on book now button to book the trip. Completely camping trekking with full board i.e. breakfast, lunch and dinner. Mattress, Toilet tent, shower, Dinning tent, dining tables, chairs etc. Full day Sightseeing in Kathmandu valley with all entrance fees. Personal equipments and personal expenses. In case of natural calamities i.e. political unrest, cancellation of flight due to weather, landslides etc the extra charge should be born by themselves. Chitwan National Park is a popular destination for visitors wanting to have a good experience of the region’s wildlife which covers 932 sq. km. in the flat lowland region of southern Nepal. It is one of the most important sub-tropical parks of Nepal with endangered Royal Bengal tiger, Greater One-horned rhinoceros, Gangetic dolphin (Platanista gangetica), Wild Asian elephant, Gaur, Golden Monitor lizard, Gharial crocodile and many more. It has 6 premier jungle resorts scattered inside its boundaries. The falling rhino (less than 200) and tiger (less than 30) populations in the present park region, focused attention on the Chitwan region and in 1963 the southern two-thirds of the park were declared rhino sanctuary. Since 1963 wildlife populations and ecosystems have been rebounding. In 1973 Chitwan became Nepal's first National Park. The relatively pristine state of the modern park and its unique ecosystems prompted UNESCO to declare the park a World Heritage site in 1984. Koshi Tappu Wildlife Reserve lies on the flood plains of the Koshi River. The rectangular - shaped Reserve is contained within the east and west embankments of the Koshi Barrage. Established in 1976, Koshi Tappu Wildlife Reserve is 175 square kilometers of wildlife refuge and wetlands habitat. It is located in Eastern Nepal and can be accessed from the Mehendra Highway. The reserve is also home to the water buffalo, deer, nilgai, mugger crocodile, Ganges River Dolphin (also called the Gangetic Dolphin), and over 280 species of birds. In additional to wildlife, the Reserve also protects a substantial part of the Sapta Koshi, (a tributary of the Ganges River) flood plain. In 1987, it was declared a Ramsar site. Rock climbing is a sport in which participants climb up or across natural rock formations or man-made rock walls. The goal is to reach the summit of a formation or the endpoint of a pre-defined route. Rock climbing is similar to scrambling (another activity involving the scaling of hills and similar formations), but climbing is generally differentiated because of the use of hands to support the climber's weight as well as to provide balance. Rock climbing is a physically and mentally demanding sport, one that often tests a climber's strength, endurance, agility, and balance along with his or her mental control. It can be a dangerous sport and knowledge of proper climbing techniques and usage of specialized climbing equipment is crucial for the safe completion of routes. Because of the wide range and variety of rock formations around the world, rock climbing has been separated into several different styles and sub-disciplines that are described below. We recommend a mountain flight for travelers that want to be in the camera range of the highest peaks in the world. . In just a short time, you will be experiencing the Himalayas at such close range it will seem as though you could reach out and touch them. You will have a panoramic encounter with the highest majestic Mountains on earth. Cruising this close to the awe-inspiring massifs of rock and ice is a cut-of-this-world experience. You can enjoy a seemingly endless chain of snowcapped peaks as you fly above clouds, over glaciers and lakes, rivers and gorges from window. The clear, non-tinted window offers a great opportunity to experience and photograph the aerial view of the many mountains along with the Kathmandu valley.